Lone Buffalo Vineyards offers premium Placer County wines crafted by a seasoned winemaker with the down-to-earth attitude of a small boutique winery. Family owned and operated by winemaker Phil Maddux and wife Jill, Lone Buffalo Vineyards is doing its part to return Placer County to its post Gold Rush roots as a premium wine-producing region. We emphasize food-friendly, Rhône and Mediterranean varietals with a twist of cowboy and old west philosophy. We pour our hearts out in the tasting room – from Where the Buffalo Roam Syrah blend, (a consistent major medal winner at both the SF Chronicle and CA State Fair competitions) to the other award-winners that make up our “herd” like our classic Foothill Zin — the Thunderbeast, Bison Blanc Viognier, Buffalo Rose Sangiovese Rosé, Tatonka Tempranillo, Noblebeast Cabernet, Medicine Man Malbec and Pawnee Tawny Port we guarantee your palate will be pleased. If you like to learn a thing or two about wine, our staff is friendly and knowledgeable and always enjoy answering questions – or just ask Buffalo Phil for the “Buffalo Story” but be sure your glass is full before he starts talking! 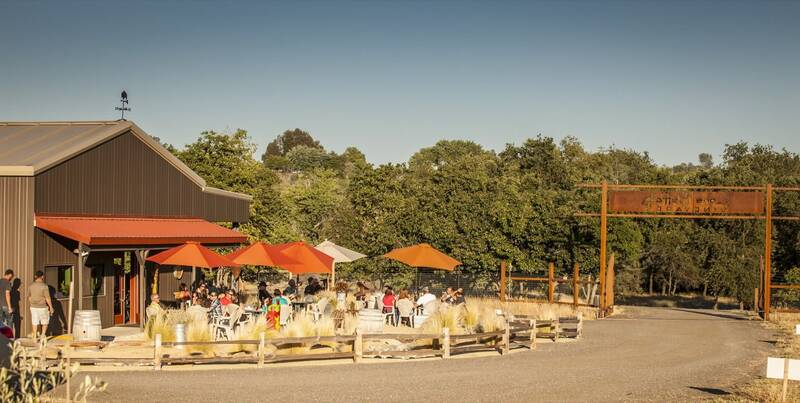 Visit us at our tasting room and winery on Wise Road on the North Auburn side of the Placer County Wine Trail. We have plenty of space for all your needs. Our covered crush pad doubles as a great patio space for picnicking and enjoying the outdoors or sit out front with views of the vineyard and countryside. 2011 Tatonka Tempranillo – GOLD! BEST OF CLASS! 2010 Where The Buffalo Roam – BEST OF CLASS! 2010 Thunder Beast Zinfandel – GOLD!